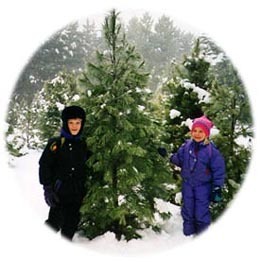 In 1964 the Horton family started one of the first cut-your-own Christmas tree operations in Ontario at their Original Farm. Today they are open at 3 farms in York Region with each farm offering different features and a different selection of trees. All of our farms have tree balers to wrap your tree for easy transport. Not only do the Horton farms have trees, they also have a Maple Sugar Bush! Experience syrup being made in both the pioneer and modern ways. This is truly a great Canadian tradition! Horton farms have also been proud to offer educational tours of the farms. The Sugarbush Tour is appropriate for people of any age. Farm Locations include Home Farm, Kennedy Farm, and Magic Hill. Magic Hill is a scenic 100 acre Century Farm with over 30,000 trees. The wagon rides, munchouse and playgrounds create a carnival atmosphere. Lots of family fun! Fore more information, please visit the Horton Family Farms website.